Sometimes, even I amaze myself. 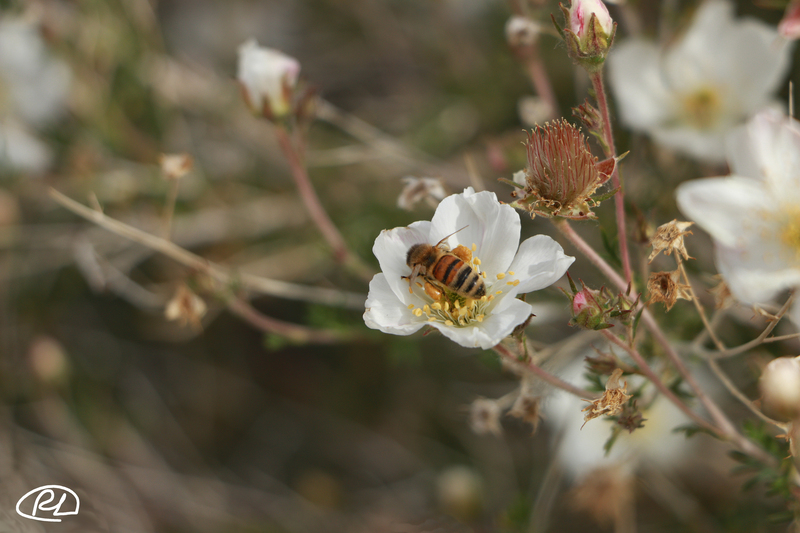 I captured a few images of bees that were gathering pollen on some desert flowers on Fallugia paradoxa. From that, here was my best image of a bee who has been hard at work. I had to do some research online, from which I learned something new. Find that in the caption below. One of my Flickr friends emailed me to ask if I were a beekeeper. Answer is no. Maybe someday when my nest is empty. The images that follow were taken in the morning, while I was waiting for a shop to open. I try to give myself an extra 30 minutes for catching images while I am out and running errands; otherwise you would be largely subjected to images of my kitchen and family room. 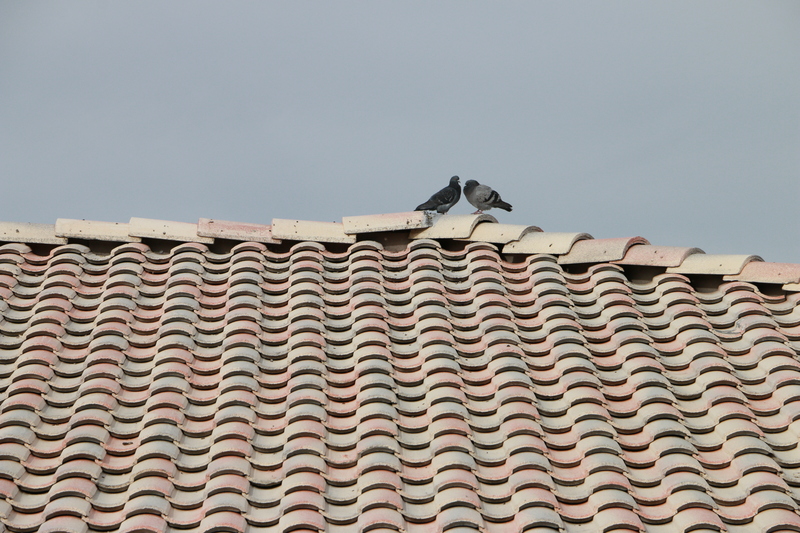 How is it that pigeons and other roof perching birds, like finches and jays, always find the highest point of a roof line? I liked that I caught this pair in a spot that was just so. The lines of the clay roof tiles and the muted sky made the image nearly monochromatic. I took a quick jaunt onto a median on Eubank, with the intention of shooting some photos of the specimens of large blooming Yucca treculeana trees. When I got up close, I was too short to make those images very impactful. The flowers are huge, but far away. 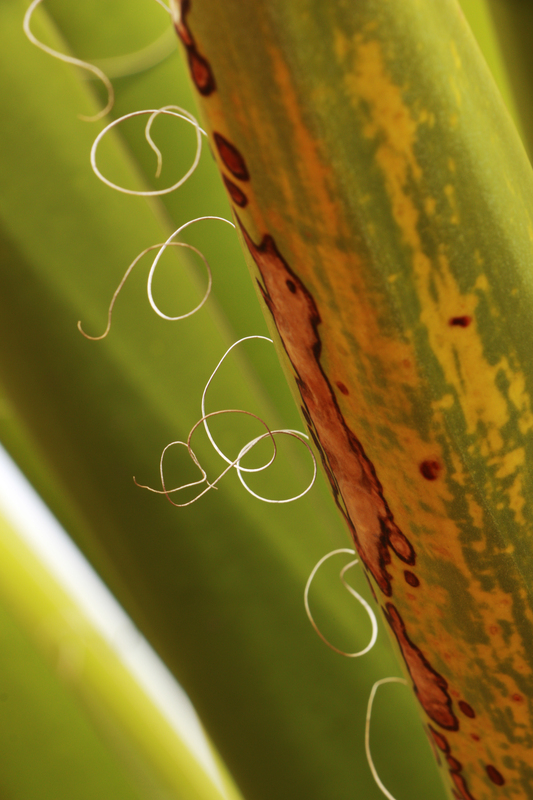 I was drawn in, however, to the leaf spears and the fibers that grow on their edges. Here is my favourite from that excercise in prickly patience.